Oh, no. Surely a tick bit me on my arm? I hate itching and having to scratch the itch many times. I was bitten by a kind of tick when I wore black for the funeral the other day. and to my regret I forgot to put moth balls in it. 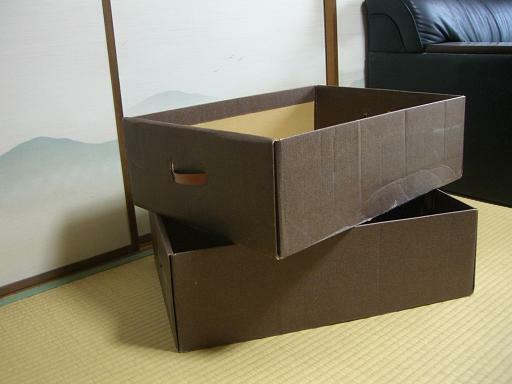 Besides, the cardboard box I bought twenty years ago is now torn in a few places. In the end, I decided to scrap two cardboard boxes. The picture below is a memorial to those boxes.